*boilk* (with thanks to the good people of Kentucky). At the back everyone should available. 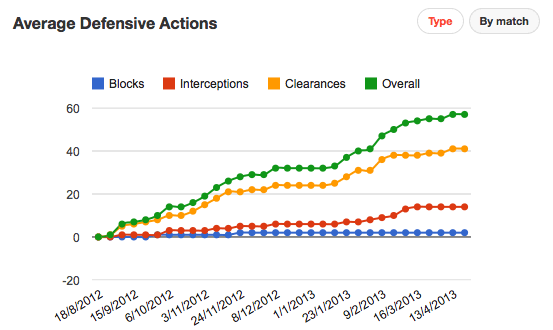 In midfield we have a few people to check like Cazorla, Wilshere and Oxlade-Chamberlain. They will all have tests but I hope they should be alright. We also have to test Rosicky who was not ready to start on Tuesday. There are a number of uncertainties about our squad but I will sort that out on Friday morning. Fingers crossed there’s nothing too serious. We need as many fit and healthy between now and the end of the season and Fulham is going to be a tricky game. We can take a proper look at the options tomorrow but what’s encouraging is that we actually have some. If certain players miss out there’s a certain amount of confidence to be had in the players like can come in, and that’s encouraging at a time when every point is so vital. He has good physical potential. He wants to play every single game, he has a good basic stamina and he can absorb the games. He is very extrovert but as well he has a basic positive nature. He wants to do well, he is desperate to do well, but he is not the one who hides afterwards. I think you will see more from him next season, and there’s a lot more to come from him. He’s a topic of discussion on today’s Arsecast, where we try and figure out what the manager does in the summer. Despite criticism, I think he’s had a pretty successful first season in English football and it’s not unreasonable to think he can improve and score more goals next season. At the same time, it’s impossible to escape the fact that Arsenal don’t really have another option for the central striking position. There’s nobody to share the burden, so when we fail to score he’s the man in the firing line. And I guess that’s the weight of responsibility at a big club like Arsenal. But does Arsene Wenger go out and buy somebody top class this summer, or a back-up player? If the former, and he spends big, it relegates Giroud to playing second fiddle, but then what kind of a player do you get if you sign somebody to understudy the Frenchman? Anyway, it’s an issue for the summer but for now it’s clear that the manager is talking in a way which will also provide a confidence boost to a player who we need to score goals in the final five games of the season. Another thing to bear in mind is that he has been something of a presence at the back too. While it’s generally not something you base your opinion of a striker on, as a relatively small team having somebody who can get his head to corner etc is not a bad thing at all, and we talk all the time about how defending is not the sole preserve of the back four. It’s why I think his contribution this season has been far more positive than anything else, but come summer, I’d like us to sign another good striker and let the two men battle it out. We’ve seen recently that competition for your place is a good thing, and maybe somebody who provides a different kind of option in and around the box would be ideal. 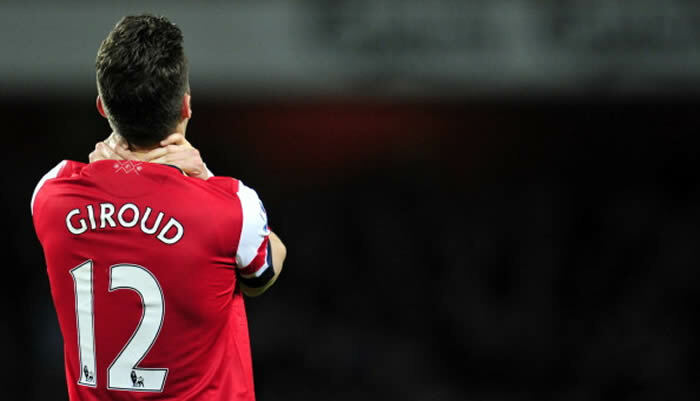 In the meantime, let’s hope Giroud can add to his goal tally. The boss has also waxed lyrical about Alex Oxlade-Chamberlain, a player who has struggled in his second season but looks as if he’s finally finding some form at the right time. I think we’ll see a lot more of him in the next campaign, but the big question is where. He’s yet to fully nail down a place, so how he forced his way into the team on a more regular basis is going to be an interesting one. Bonus reading: Tim Stillman column from last night. Right then, onto this week’s Arsecast and I’m joined by @gunnerblog to chat about Everton, Norwich, Giroud, Ramsey and more. There’s some TalkShite Radio in there and all the usual flim-flammery. And that’s yer lot. Have a good Friday, back tomorrow to talk Fulham and all the rest. Until then.